We create blooming teas by gently infusing healthy green tea leaves with the essence of fruit and wrapping them around delicate dried flowers. 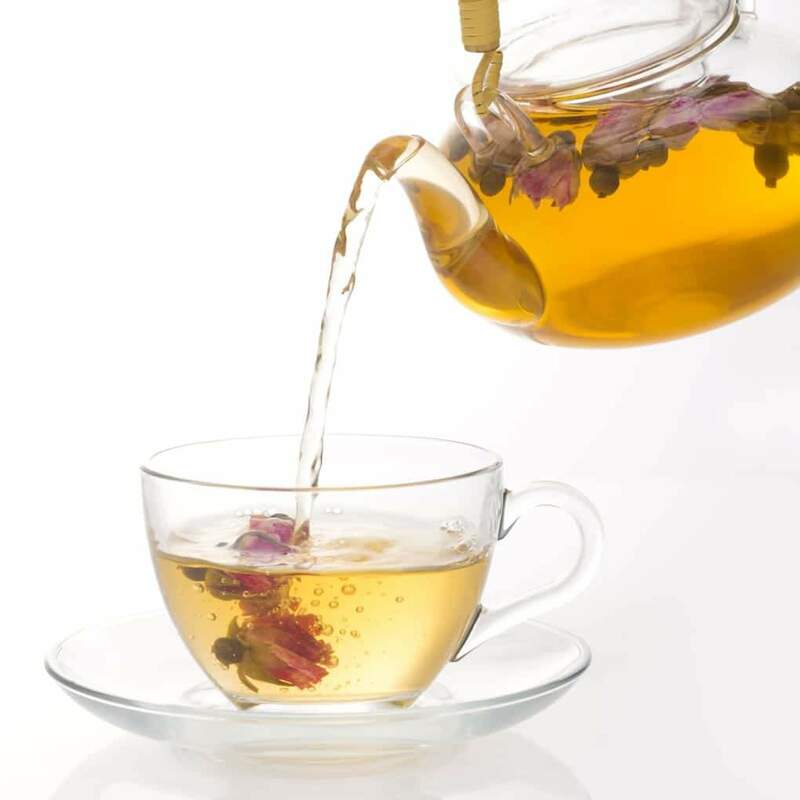 What you get is the vegetal flavor of the tea with all its health benefits finished with a hint of a sweet fruit. For a caffeine-free indulgence, we bring you pure flowers in their natural form with our floral tisanes. Sweet and earthy, their gentle aroma will mellow you down with surprising and unfamiliar flavors. Make sure to fully enjoy the magic unfolding in your cup how it can best be viewed, with our elegant glassware. Finally, our rose cakes heighten your tea experience with a rich flowery treat. Ooey-gooey but not-too-sweet, these bite-sized goodies will satisfy you without being too sinful. With no artificial colors, flavors or impurities of a tea bag and packed with the power of tea, our unique products will delight you without all of the guilt. Watch them bloom before your eyes and take you away to a field of warm sunshine and fragrant wildflowers, fresh grass and rich earth or anywhere else you fancy - whatever the weather!